Power electronics is the use of semi-conductor devices to control and manipulate electrical power. Devices resulting from this technology include everything from high voltage direct current (HVDC) transmission of power over long distances to the conversion from AC to DC power that is performed in the charger for a cellular phone. Advances in power electronics can lead to advances in technology and improve the efficiency of electrical devices. 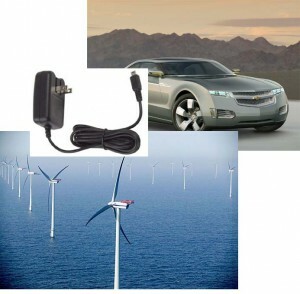 Power electronics are used in hybrid electric vehicles, wind turbines, computer power supplies, and many other modern devices. Power electronics has also offered new tools to utilities. As mentioned above HVDC provides an efficient method of transmitting power over large distances, and can also link adjacent asynchronous systems. The power industry has also benefited from flexible AC transmission system (FACTS) devices, which allow more control over power transmission, i.e. adjustable reactive power compensation. 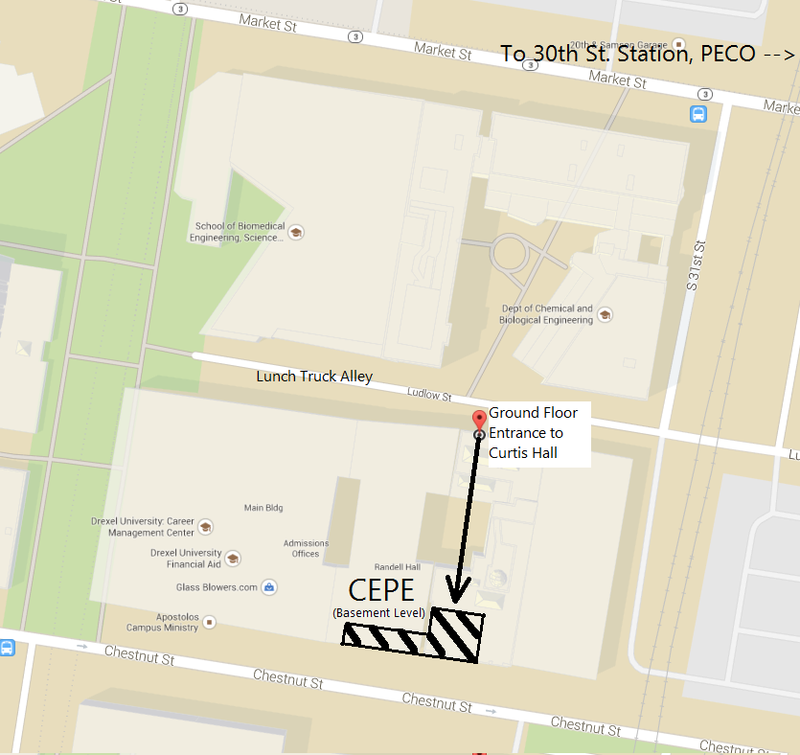 The power electronics capabilities of the center for electric power engineering include various types of converters, measurement devices, and analysis tools. 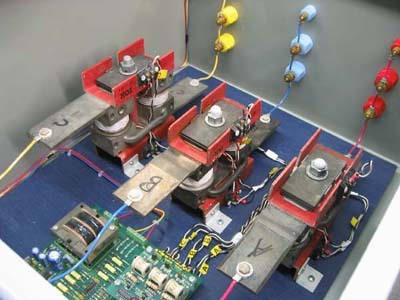 The converters available range from simple diode rectifiers which can be rewired in different configurations to controlled thyristor devices to a computer controlled inverter whose modulation method can be reprogrammed. Also available are two feedback educational modules, which can also be wired in a variety of configurations. 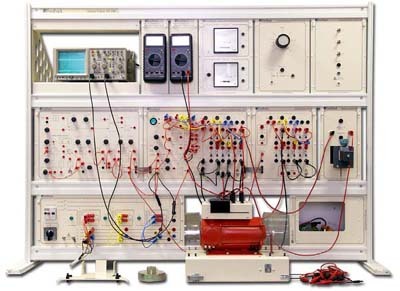 To measure voltage and current, the laboratory is equipped with several sets of Tektronix differential voltage probes, and Hall Effect current measurement probes. These measurements can then be analyzed using a variety of Tektronix oscilloscopes. The oscilloscopes are equipped with the capability for harmonic analysis using fast Fourier transform, as well as other measurement and analysis functionality. Using the Pspice environment, students can study various properties of the converters under different types of loadings. One advantages of using these software experiments is that students can operate the simulated converters in operating ranges that would not be safe using hardware, thus gaining insight into the failure mechanisms of the devices. Students take measurements of current and voltage waveforms using Tektronics oscilloscopes, voltage probes, and hall effect current probes. 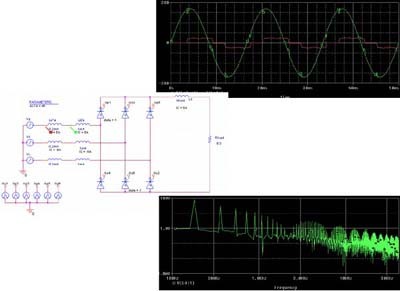 Analysis is performed using the oscilloscopes internal Fourier transform functionality. Quantities such as mean and RMS voltage, Real Power, Apparent power, delay angles are taken at various load levels and operating conditions.